Hi everyone. I’ve got some huge news for you. As you know, we’ve been working hard to fill PlayStation Home with hundreds of games – everything from pool tables and dart boards to full-on space shooters like Novus Prime: Escalation, zombie slashers like Dead Island Zombie Survivor, and massive online racing games like Sodium 2: Project Velocity. Today we are excited to announce a complete redesign of the heart of PlayStation Home to reinforce our evolution into the ultimate social game platform on consoles today. This redesign will connect you with the world of hundreds of games in Home faster and better than ever before. 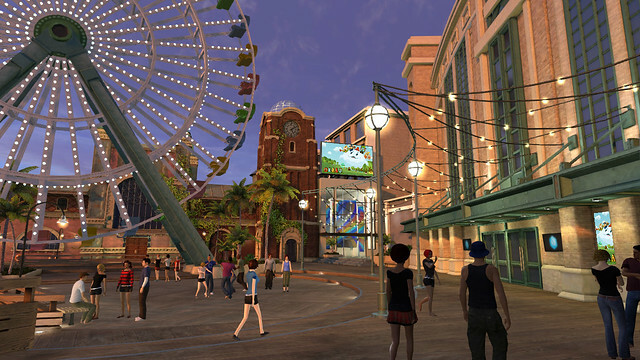 Coming in Fall 2011, this new core experience for PlayStation Home features a “hub and districts” design that will help you find games, people and places that fit your favorite game genres. The design features a new Hub that integrates games, quests, community events, and user-generated content, while providing you with additional navigation, shopping, socialization and entertainment options. The new, futuristic Hub (shown below) brings an ever changing roster of games right to the center of Home, including Cogs from Codename: Lazy 8 Studios which will be featured front and center on day one. The Hub will also feature a new Activity Board filled with games to play, rewards to be won, a new UGC events system, and cool stuff to discover. Powering this Activity Board is a massive new questing system that literally transforms Home itself into a game if you so choose. From frequently updated community activities to huge, branching narrative adventures, this questing system will provide game play options delivered to you in ways never before imagined. Additionally, surrounding the Hub will be districts based on game genres to suit your mood. Whether you want an intense, in-your-face experience, or a more chill, laid-back environment, these districts will be packed with games and navigation points leading you to content that suits your style. 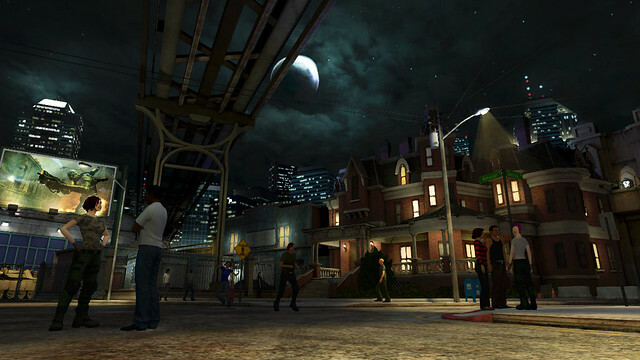 With a gritty, urban aesthetic reminiscent of a first-person shooter level, the Action District (shown above) is the perfect destination for gamers looking for action, shooter and horror games. Come experience the outside-the-stadium feel of Sportswalk, which features up-to-the-minute major league sports scores, headlines and highlights, and sports-themed games. Enter a lush beachfront jungle full of sights to see and adventure-themed games to discover in the Adventure District. Pier Park (shown above) is your destination for carnival, puzzle, outdoor and arcade games, featuring a waterfront boardwalk, Ferris wheel and a fun party zone that is linked to dedicated indie and arcade game spaces. On top of all this great news, I’m excited to announce that we are going to upgrade Home’s core client to provide a streamlined initial user experience, getting you in and playing games faster than ever before. 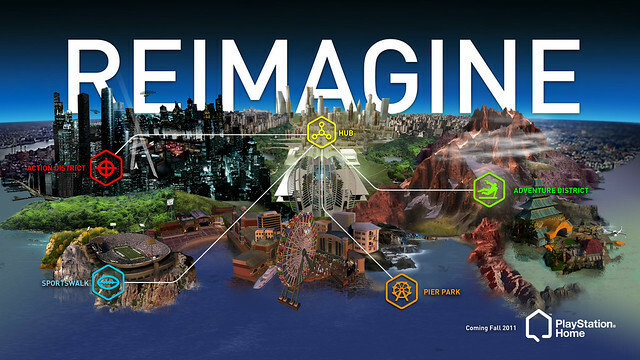 This upgrade will be deployed as a separate release from the redesign, and together they will underscore PlayStation Home’s evolution into a world filled with hundreds of games ready for you to play, making Home the ultimate social game platform on consoles. 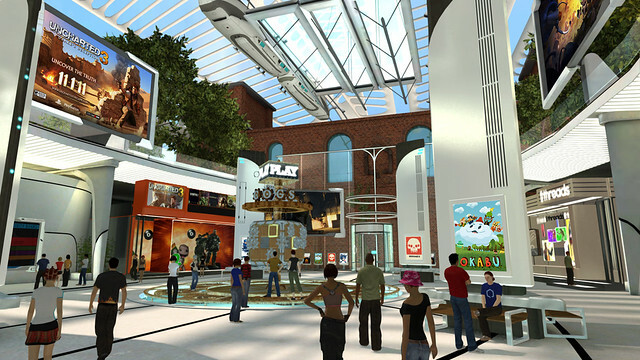 We hope you’re as excited about PlayStation Home’s new core experience as we are! do you know when the starwars new room will be coming out because i have this club and we have been waiting for a while for it to come out if you do can you give me a quick description how it would look.